On 25th May 1946 - to this day 70 years ago - a new Kingdom was born. H.H. Emir Abdullah of Transjordan (1921 - 1946) proclaimed the independent Hashemite Kingdom of Jordan and he became His Majesty King Abdullah I.
Abdullah I bin al-Hussein, was born in February 1882 born in Mecca, Hejaz, which then belonged to the Ottoman Empire, and he was the second of three sons of Hussein bin Ali, Sharif and Emir of Mecca and his first wife Abdiyya bint Abdullah. He was educated in Istanbul, Turkey and Hijaz. From 1909 to 1914, Abdullah sat in the Ottoman legislature, as deputy for Mecca, but allied with Britain during World War I. Between 1916 to 1918, working with the British guerrilla leader T. E. Lawrence, he played a key role as architect and planner of the Great Arab Revolt against Ottoman rule, leading guerrilla raids on garrisons. 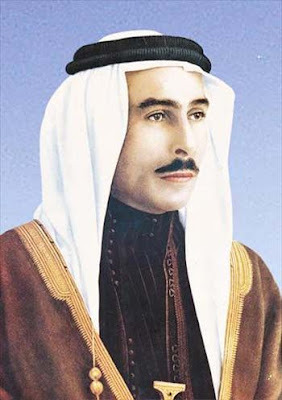 When he assumed the Throne of Transjordan in 1921, he established the first centralised government out of a mostly tribal and nomadic society in this territory. Over the next 30 years, he focused on nation building and developing the institutional foundations of modern Jordan. He is also remembered for promulgating Jordan’s first Constitution in 1928 and holding the country’s first parliamentary elections in 1929. During these three decades, King Abdullah I presided over a series of Anglo-Transjordanian treaties, culminating in the 1946 Anglo-Transjordanian Treaty, ending the British mandate and granting the new Hashemite Kingdom of Jordan full independence. He laid down the basis for democracy in the Kingdom and called for political pluralism. The first political party was formed during his reign. A poet himself, he used to meet with poets, writers and scholars and discuss the country’s affairs. On 20th July 1951, King Abdullah, while visiting Al-Aqsa Mosque in Jerusalem, was shot dead by a Palestinian from the Husseini clan. He was succeeded by his son King Talal bin Abdullah (26th February 1909 – 7th July 1972). 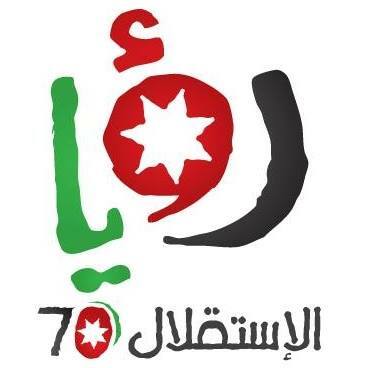 Under the reign of King Talal the country prepared a new liberalised Constitution in 1952, which introduced a culture of Arab unity by declaring Jordan part of the Arab nation. During the short reign reign, Jordan concluded important agreements including a pan-Arab collective security agreement and announced compulsory free education. The introduction of compulsory free education, the first of its kind in Jordan and the Arab world, had a positive impact on the country’s future development. Born in Mecca in 1909, King Talal studied at the British Military Academy, Sandhurst, and in 1929 became the first Jordanian officer to graduate from the institute. As an officer of the Arab Army, he participated in battles between Arab and Israeli forces in Jerusalem, Ramallah and other Palestinian towns. In 1934, he married Zein Al Sharaf, the late Queen Mother, who died in 1994. He was King of Jordan from 20th July 1951 until forced to abdicate in favour of his son Hussein due to health reasons on 11th August 1952. Hussein ibn Talal was born on 14th November 1935, in his parents' villa in Amman, in what was then the Emirate of Transjordan. His family's circumstances were modest. Though heir to the throne, his father, Talal ibn Abdallah, supported his family of three sons and a daughter on an allowance of pounds 1,000 a year. Hussein received his primary education at schools in Amman and then at 13 was sent to Victoria College, Alexandria, an Egyptian boarding school on the British model. He recalled repairing his school uniform with a needle and thread to spare his parents the expense of replacing it. Prince Hussein was standing only a few feet away when his grandfather was murdered, and saw the king's bloodstained turban roll across the floor in front of him. The 16 year-old only escaped death himself by what seemed a miracle: a bullet aimed at him struck a medal on his uniform. He was thrown backwards but otherwise unhurt; his grandfather had given him the medal only the day before. At the time of his coronation, on 2nd May 1953, Hussein was just 18 (by the Islamic calendar). His cousin Faisal II of Iraq was crowned King of Iraq on the same day. Having ascended the throne as a teenager, he was as a young king the target of numerous attempted coups and assassinations. Later, two Arab-Israeli wars and a civil war threatened the existence of his throne and the state itself. He was under threat as much from political enemies among his Arab neighbours as from a militarily superior Israel. The result of King Hussein's determination to safeguard his position is a country which enjoys a degree of openness, stability and prosperity not widely achieved by other Arab states. The King also secured the prize that had eluded his predecessors: a peace treaty with Israel. King Hussein was motivated by a strongly mystical, if sentimental, belief in his own destiny as the only remaining Hashemite king. His dynasty traced its ancestry back to the Prophet Mohammed and beyond, and had ruled Mecca for seven centuries until it was seized by Saudi forces in 1925. 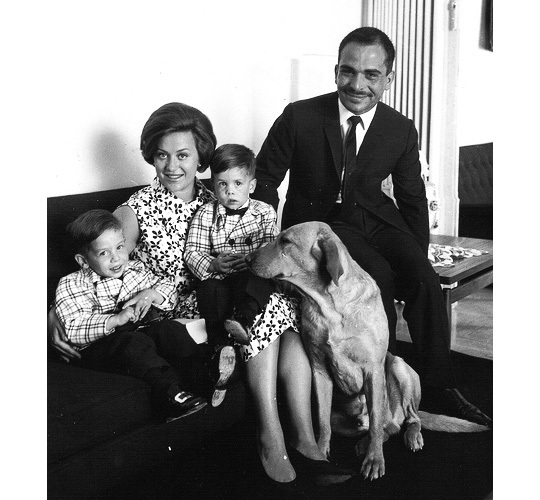 King Hussein and Princess Muna with their sons, Prince Abdullah and Prince Faisal, later followed the twins Princess Aisha and Princess Zein. But in King Hussein's mind the ideal of a universal Hashemite monarchy persisted, taking the form of a benign authoritarianism that drew legitimacy from Islam and the traditional values of the desert Arab. At the end of July 1998, it was made public that King Hussein was diagnosed with lymphatic cancer. On 7th February 1999, King Hussein died of complications related to non-Hodgkin's lymphoma. He was, at the time of his death, one of the longest-serving leaders in international politics. He had been the King of Jordan for over 46 years. His successor was his eldest son, Crown Prince Abdullah. Just present and fourth King, Abdullah II bin Al-Hussein was born on 30th January 1962 and has been the King of Jordan since he ascended the throne on 7th February 1999 upon the death of his father. King Abdullah II and Queen Rania with their children, Princess Salman, Prince Hashem, Princess Iman and Crown Prince Hussein. He was born to King Hussein and his second wife, the British-born Princess Muna al-Hussein. 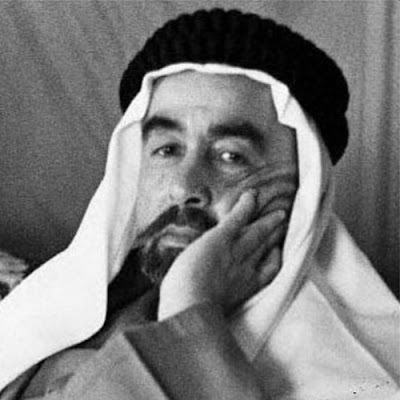 Abdullah was named Crown Prince shortly after his birth. King Hussein transferred the title to his own brother, Prince Hassan, in 1965, only to return it to Abdullah in 1999. King Abdullah is married to Queen Rania of Jordan, who is of Palestinian origin.